She repeated it four times during our tour at her lovely Puzzle Mansion. 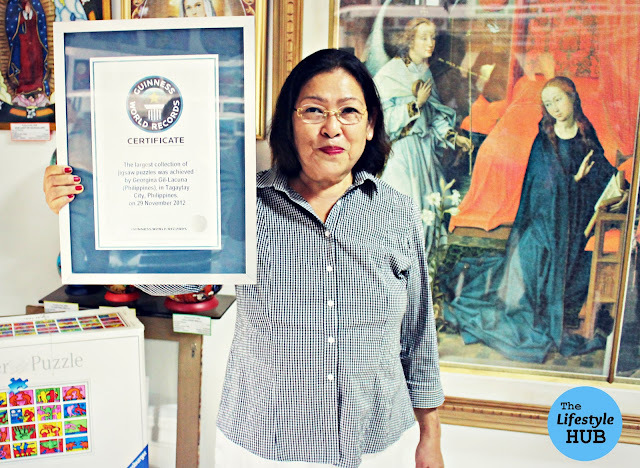 She is, to quote her, "only a high school graduate" but this did not stop Georgina Gil Lacuna from being one of Tagaytay's finest businesswomen and most importantly, a Guinness World Record holder. Gina now owns the biggest jigsaw puzzle collection in the world with 1,030 puzzles and counting. with the drive to learn by reading, self-researching and traveling. 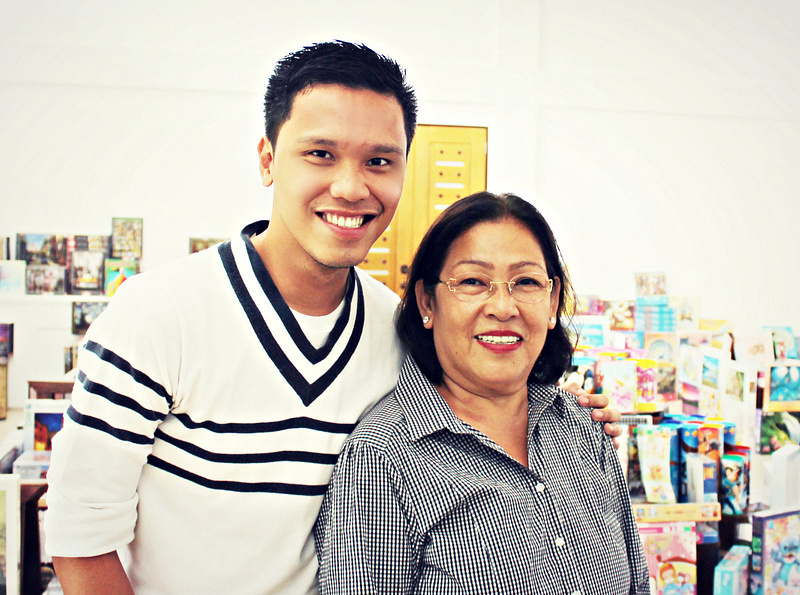 Now, she owns the Guinness World Record for the largest puzzle collection. It was November 29, 2012, just roughly 5 months ago when Syeda Subasi Gemici of Guinness officially awarded Gina the World Record through a simple ceremony. Then, she broke overwhelmingly the previous record of 238 puzzles held by Brazilian Luiza Figuereido. Now, aside from the charming Taal Volcano, Lacuna's Puzzle Mansion becomes one of the most visited tourist attractions in Tagaytay. How did all of these come together? And how can someone gain so much patience in shaping up complicated jigsaw puzzles? "It's all about interest and passion", Gina explained. Basing on her collection, it looked like she is not only interested in fixing puzzles. She is also interested with the facts that go along with those. Her 3-D puzzles take inspiration from some of the world's iconic landmarks: The Colosseum of Rome, St. 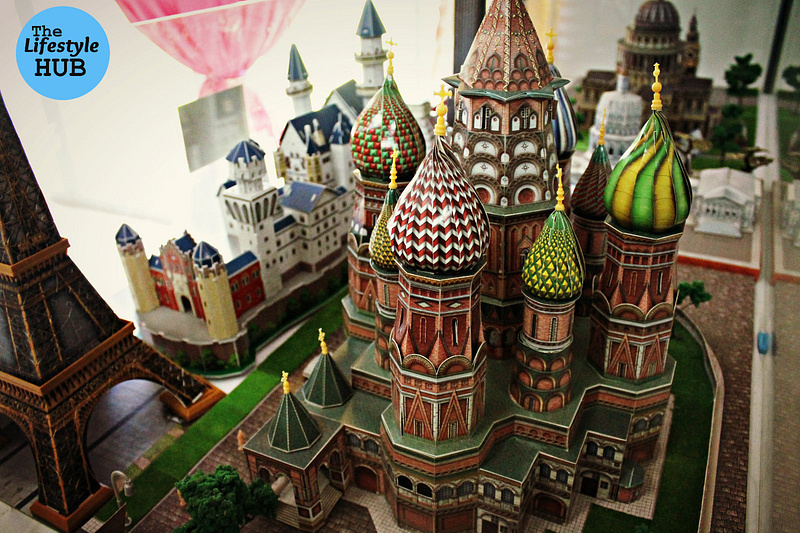 Basil's Cathedral of Russia, the Empire State Building and the Statue of Liberty of New York, and the Big Ben of London to name a few. "I might just be a high school graduate but I get my learnings from traveling. Some of the pieces you see here, I get them from different parts of the world", she narrated. completed by Ms. Lacuna and being displayed now at the Puzzle Mansion in Tagaytay. 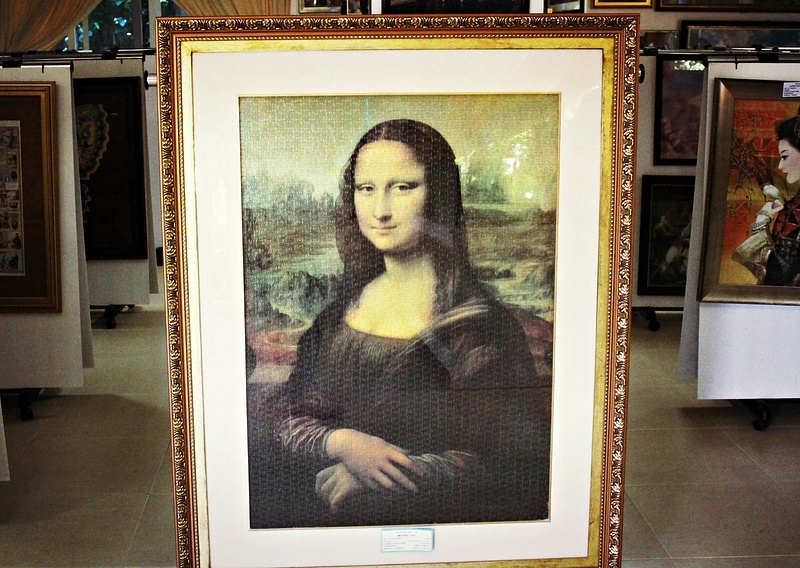 'Mona Lisa' is composed of 1,500 puzzle pieces. R. Van Der Weyden's 'Retablo de Santa Columba' in 1095 hours or almost 45 days. This is composed of 18,000 jigsaw puzzles. 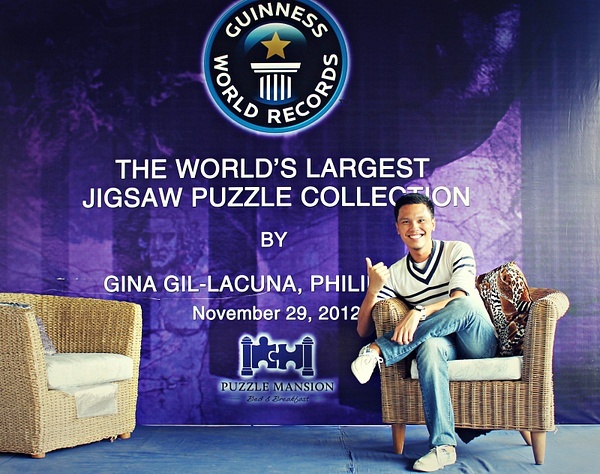 for largest puzzle collection was awarded to Gina Gil Lacuna in November of 2012. Clearly, one cannot know when to travel if she doesn't know where to go and what to see and search for. 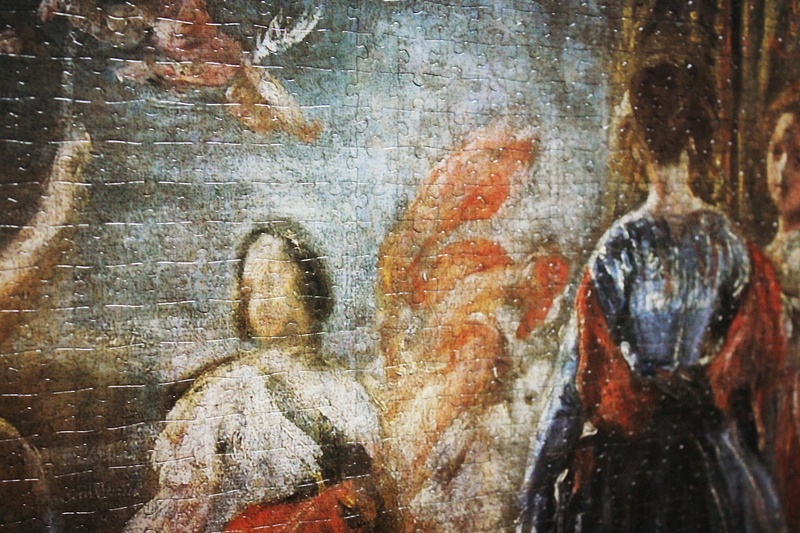 Her most complicated puzzles depict also the greatest piece of artworks that influenced the world. 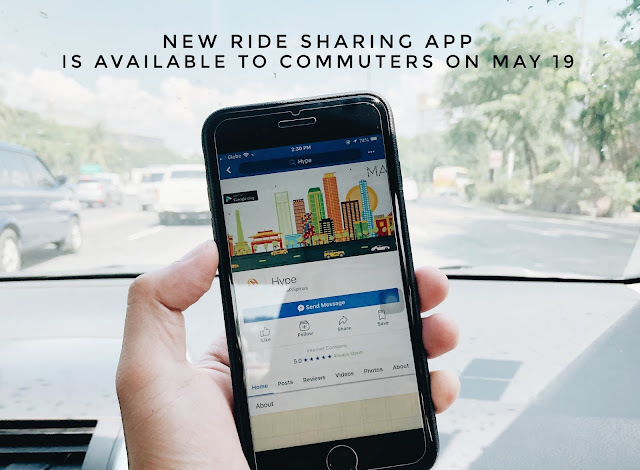 These include the Mona Lisa by Leonardo da Vinci, The Surrender of Granada by Franciso Pradila Ortiz, and even the cubism art piece Guernica by Pablo Picasso. And how did she learned which artworks to unpuzzle? "By reading", Lacuna shared. "You might not be able to graduate from college but it doesn't mean learning has to stop. Aside from doing my puzzles, books accompany me on my way to sleep", she said further. True enough, when Gina toured us around a roomful of puzzles, her stories were all relevant and refreshing and she sounded like she owns every information she shares. "It's not just about the world record. You learn here. There are a lot of things that you can discover here", she enthused. 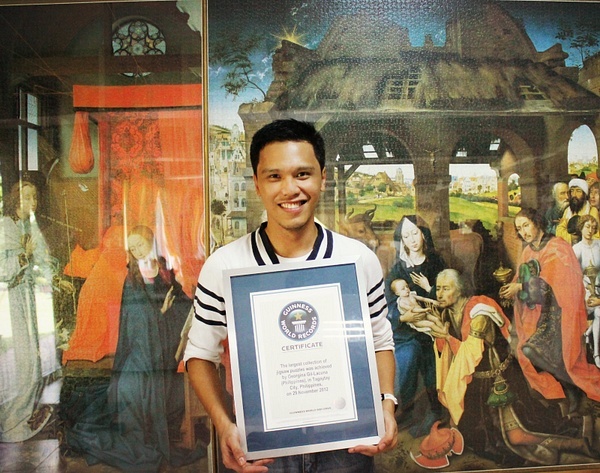 Aside from representations of the world's most prized artworks, completed puzzles that were displayed in Miss Lacuna's gallery are cartoon caricatures, images of famous personalities like Pope John Paul II, and icons of pop culture with that of Coca Cola amusing me the most. Entrance to the Puzzle Mansion is only PhP100 which also covers a swim at her new pool. "It has been 26 years since I started doing puzzles but I guarantee you I am not stopping. We are keeping the World Record and we will get new ones", the world record holder narrates with a smile. The same smile which shapes a conviction that even if one lacks something the modern world deemed necessary, education included, but as long as there is passion, one can still unpuzzle her way to the top. the Coca Cola piece called "Celebration". 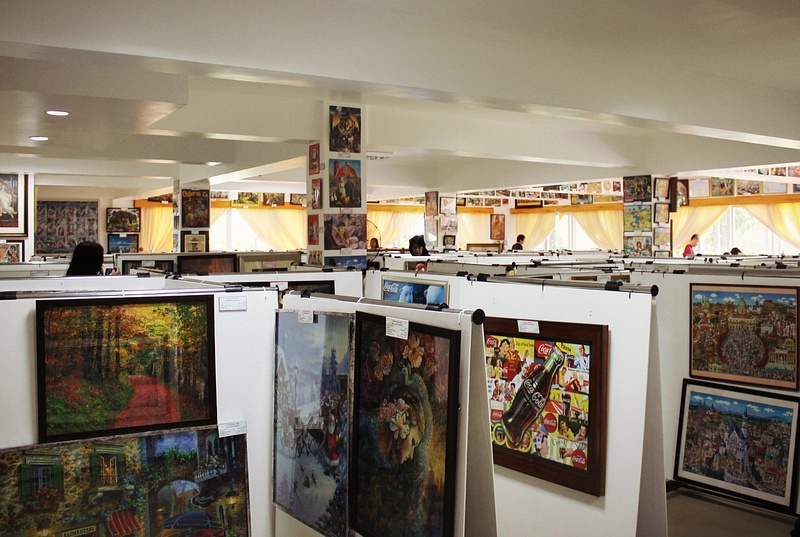 are displayed in this room which is the main attraction of Tagaytay's Puzzle Mansion. Oh look! I am holding the authentic Guinness World Record! It is my first time to meet a world record holder and I would not miss taking a photo with her. More than being a record holder and a businesswoman, Miss Gina Lacuna wants people to remember her as the woman who unpuzzled her way to the top.